Many men lack true friends in today’s culture. Studies show that large numbers of men lack close friendships, which is correlated with less happiness, more depression, more loneliness, poorer health and shorter life spans. Friendship matters and there is a crisis in male friendship. Modern culture confuses masculine friendship. Male friendship is portrayed as shallow, good-times focused, comically “manly” or encouragingly homosexual. Rather then seek real friends, many men are retreating into virtual worlds of computer games and “Facebook friends”. The causes of the male friendship crisis are many. Friendships do not thrive in smaller, more mobile families that have increasing levels of divorce. There has been a long-term dramatic fall in men’s social involvement in church, civic and social groups. Work pressures reduce men’s social time and working wives require men to help pick up the slack in parenting. Men are distracted from building friendships due to a huge media smorgasbord of TV, video games and the internet. The increasing self-obsessed narcissistic modern culture has not taught the virtue of self-giving friendship. In ancient times, Aristotle stressed the importance of friendship, categorizing the types of friendships by their purpose: friends that gather for good times, friends where there is mutual utility (e.g. business, shared goals) and friends that seek of the good for each other. Aquinas makes it clear that the highest good is eternal good and that Christian friendships are thus a superior form of human friendships. The Church teaches that friendship with Jesus is the highest form of friendship (CCC 142) and that those who die in friendship with God can be assured of salvation (CCC 1030). Men can find true friendship with Jesus Christ, the Divine Friend and by building communio with other men who together share commitment to Christ. There are no substitutes for friendship with Jesus and no human friendship is complete without Christ. Jesus longs for friendship with others – Jesus comes to man so that the Truth can be known, to free men from sin and so that men might have access to God (Summa Theologica, III, Q40). Jesus seeks friends, spending three days in the Temple, calling the Twelve and tirelessly travels to meet and build friendships. He seeks the comfort of His close friends in the Garden of Gethsemane. 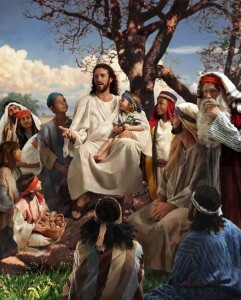 Jesus offers, but doesn’t force, friendship – Jesus specifically calls the Twelve and they respond. Others follow Jesus including many women. Some do not wish to build friendship with Jesus including the disciples who do not accept Eucharist as the real presence (John 6:66), the Samaritan village that refuses to accept Jesus (Luke 9:53) and the rich young man (Mark 10:31). Builds friendships with different personalities – Jesus builds friendships with all sorts of personalities: Passionate and impulsive (Peter), aggressive and ambitious (James and John), a zealot (Simon the Zealot), a calculating tax collector (Matthew), courageous and questioning (Thomas), cunning/sly (Nathaniel/Bartholomew), corrupt (Judas), loyal but confused (Philip), unassuming (James the younger), active (Martha) and spiritual (Mary, Martha’s sister). Builds friendships with people from all walks of life – Jesus built strong friendships with men (e.g. Twelve, Lazarus) and numerous women including Mary, Martha, Mary Magdalene, Joanna, Mary the mother of James and Susana. Jesus builds friendships with people of different stations in life (fishermen, tax collectors), religious affiliations (Nicodemus/Pharisee), levels of wealth (Peter and Joseph of Arimethea) prostitutes and former demoniacs (Mary Magdalene). Has close circle of male friends – Jesus Christ calls the Twelve to be His close friends, but has an inner circle (Peter, James and John) and one disciple called beloved (John). He calls them friends (John 15:15) and brothers (Matt 12:49), sharing everything He has heard from His Father (John 15:15). He serves His friends – Jesus responds to the needs of His close friends including healing Peter’s mother in law (Luke 4:38-29) and raising Lazarus from the dead (John 11:44). Jesus saves the disciples in the storm (Matt 14:22-33), defends them from the Pharisees (Matt 12: 1-8), washes their feet (John 13:5) and protects them when He is arrested at Gethsemane (John 18:8). He teaches about building friendships – At the center of all true friendships is the Charity of Christ. Jesus teaches specific examples of charity by making friends with accusers (Matt 5:25), not judging a brother (Matt 7:1-5), how to gently correct a brother (Matt 18:15-18), forgiving (Matt 18:23) how to rely on friends (Luke 11:5-8), rewarding the initiative of friends (Luke 7:6) being humble in friendship (Luke 14:10), building friendships with the poor (Luke 14:12), the importance of celebrating with friends in thanksgiving (John 2:1-11; Luke 15:6,9) and friendly/brotherly love (Matt 20:13, 22:12). Emphasizes table fellowship – Jesus emphasizes the sharing of meals with others as part of friendship (Mark 2:15; Matt 9:10), performs miracles by feeding large groups (Matt 14:13-21) and offers the lasting Sacrament of the Eucharistic meal (Luke 22:7-39). He corrects and teaches his friends – Several occasions stand out from Jesus’ continuing friendship during His earthly ministry: forcefully correcting/cautioning Peter about Satan (Matt 16:23), explaining the parables to the disciples (Mark 4:10-20), allowing Peter to sink in the storm (Matt 14:31), calling Judas “friend” even as Judas betrays Him (Matt 26:50) and forgiving/reconciling with Peter after his denial (John 21:15-19). He emphasizes prayer with friends – Jesus demonstrates the importance of prayer through His own practice (e.g. Gethsemane), teaches about prayer (e.g. Sermon on the Mount), promises to be present when friends gather in prayer (Matt 18:20) and gives them the Lord’s Prayer (Matt 6:9-13). Makes it clear what is necessary for Divine Friendship – “You are my friends if you do what I command you” (John 15:14) and “do the will of My Father” (Matt 12:50). Offers His life for His friends – “Greater love has no man than this, that a man lay down his life for his friends” (John 15:13). Jesus leaves a lasting Christian legacy of fellowship – After Pentecost, the disciples gather together, holding steadfastly to the Apostle’s teaching about Jesus, fellowship, breaking of bread and prayers (Acts 2:42).